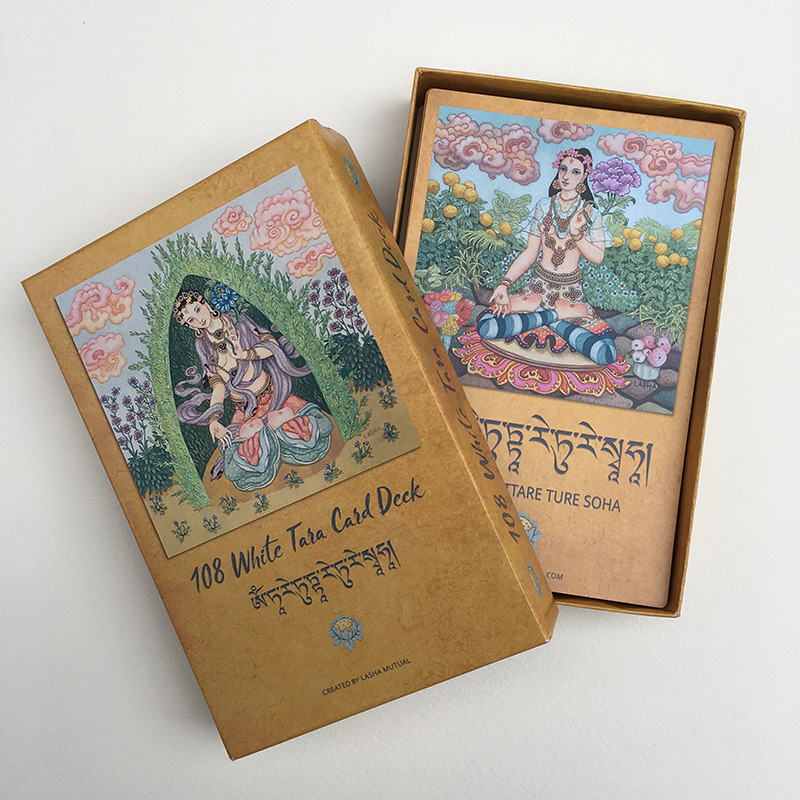 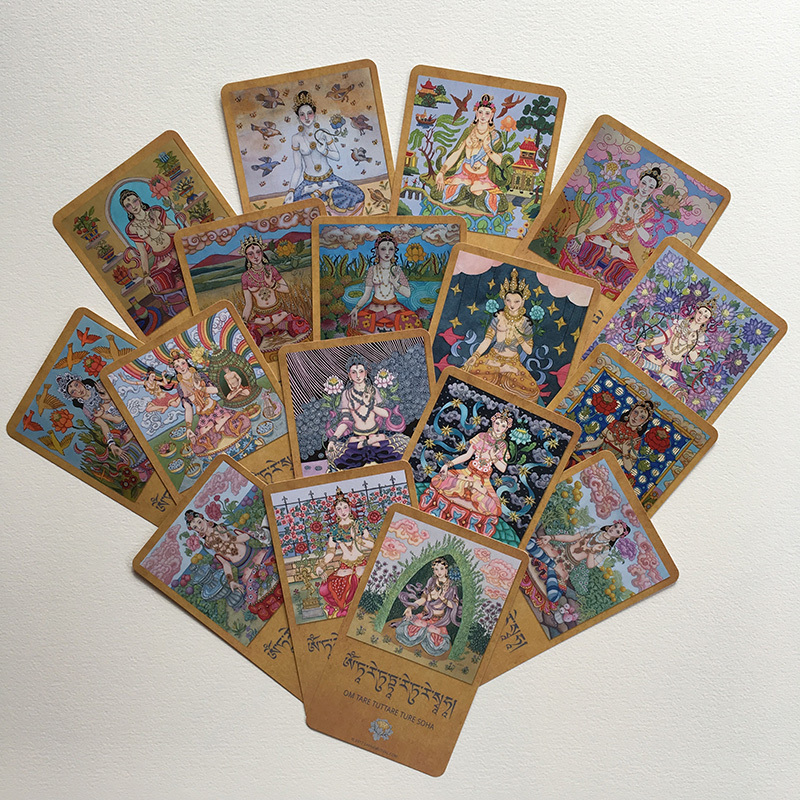 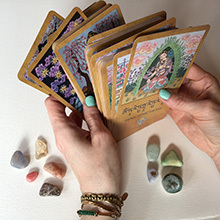 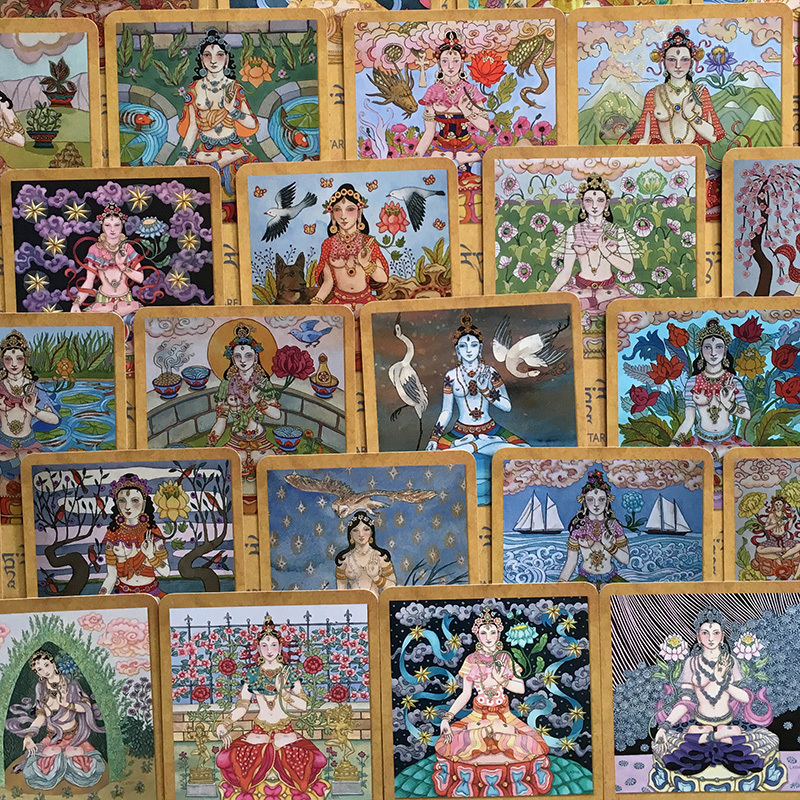 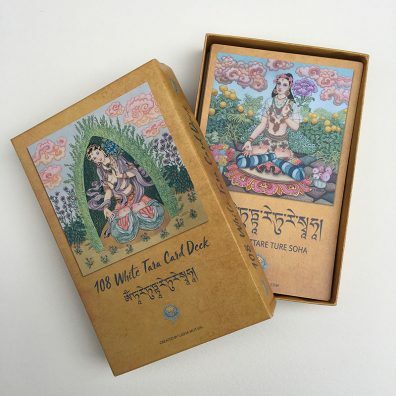 I’m proud to present this unique meditation card deck featuring 108 of my White Tara paintings. 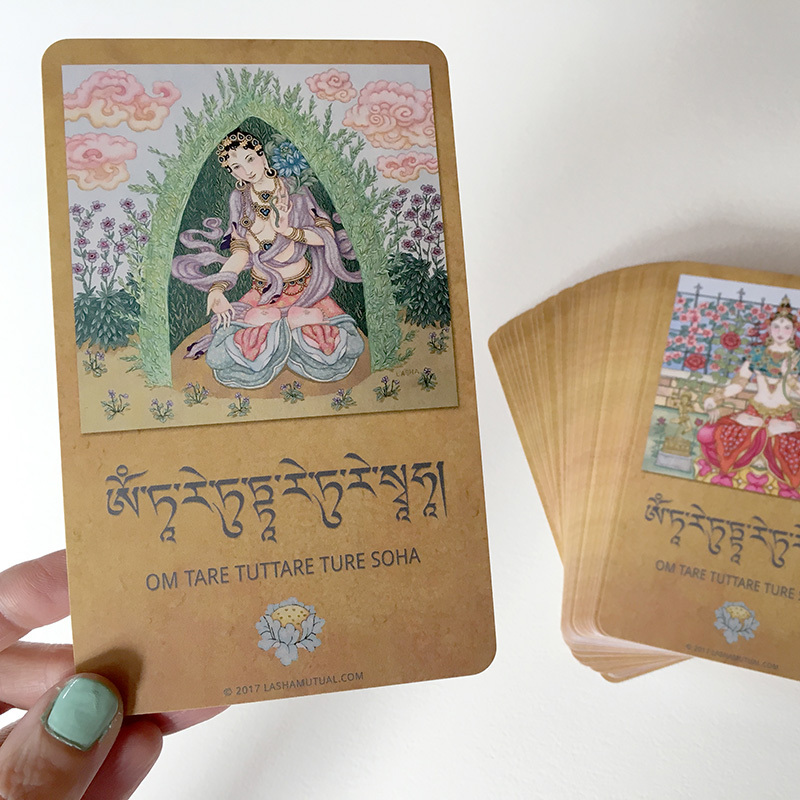 Each side of the 54 detailed cards features a unique painting of White Tara ~ a meditation deity revered within Tibetan Buddhism who embodies compassion, long life, healing and serenity ~ together with Tara’s mantra in both Tibetan and English transliteration. 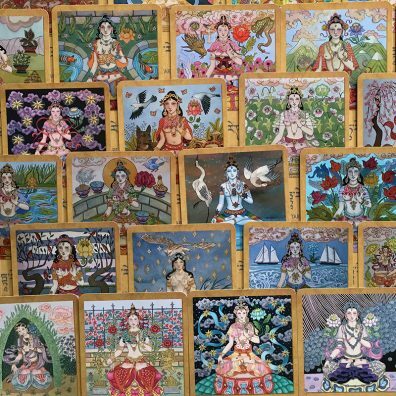 These beautiful 3.5×5 inch cards come in a 2-piece custom box, and can be used for meditation and contemplation, or enjoyed as inspiring individual pieces of art, and are a great keepsake for anyone interested in mindfulness, spirituality and Buddhist imagery.